One advantage of China’s top-down approach to urban development is the lack of organized resistance to new projects. Aside from the occasional story of a lone-ranger hold out protesting imminent demolition of property, China is a nation almost completely devoid of NIMBYs (not in my backyard). This is due largely in part to the collectivist nature of China’s ethnic majority. That majority is of course the Han people, who comprise more than 90% of China’s overall population. There is a very strong self-identification among the Han, which begets an unspoken but omnipresent social unification. This spirit has been one of the driving forces behind China’s rapid and successful urban development. Yet as momentum shifts westward, the outlook for peaceful development looks more uncertain. Whereas the east coast of China consists mainly of Han people, the interior areas are more mixed ethnically. The far west autonomous regions of Tibet and Xinjiang are majority-minority populations. Xinjiang Autonomous region- which is home to the Uyghur people, a Turkic Muslim minority- is currently experiencing a significant migration of Han people from the eastern provinces as a result of the central government’s ‘Go West’ campaign. Cities in this vast and resource-rich region in China’s northwest corner are developing quickly. 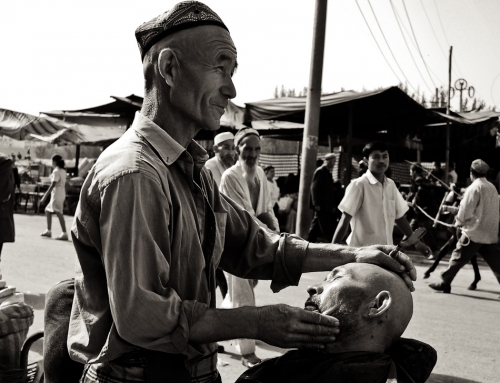 Unfortunately, Uyghur’s and other local minorities feel as if they are being left out of the new prosperity. Frustrations boiled over last year when riots broke out in the Xinjiang capital city of Urumqi. The violence pitted the Uyghurs against the Han, leaving nearly 200 people dead. Fortunately, there has not been any flare ups since then but as a New York Times article said recently, ‘resentment is simmering‘. Urumqi and other cities in the west of China will undoubtedly continue to move full steam ahead with development. Urbanization and modernization need not be a threat to local culture though. Rather, it should reinforce long-standing traditions as prosperity eventually leads to diversity appreciation. The major challenge here will be a social one- including non-Han minorities in with the huge changes taking place.